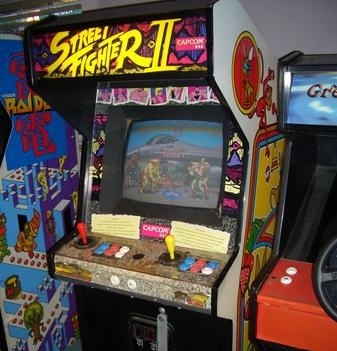 Twenty years ago today, a little game called Street Fighter II first made its arcade debut. In today's installment of the "wow, I feel old" chronicles: Capcom has reminded us all that the first Street Fighter II machines first hit arcades today in March 1991. This was plain ol' vanilla Street Fighter II, not Champion Edition or Super or Turbo or Super Turbo. It's hard to overestimate just how influential Street Fighter II really was. This one game defined the fighting game genre for decades to come, and many of the conventions the genre uses today - super moves, health bars, combo strings - originated here. It would go on to spawn many imitators, many of which were pale shadows of the original (looking at you, Mortal Kombat). It would also become one of the most re-released games in history. I used to go over to my friend's house to play it on his SNES almost every day after school. His older brother never told me how to throw a fireball, so I always played as Chun-Li since you could do her lightning kick by just mashing the buttons. What a jerk that guy was, seriously. Happy birthday, Street Fighter II. You defined a genre and created a legend. In your honor, let's all listen to Guile's theme. Or Ken's theme. Or Ryu's theme. Or - you know what? Man, this game had some great music.